Santa Barbara is the first California city to ban new drilling off the California coast and to ban fracking in existing offshore wells. 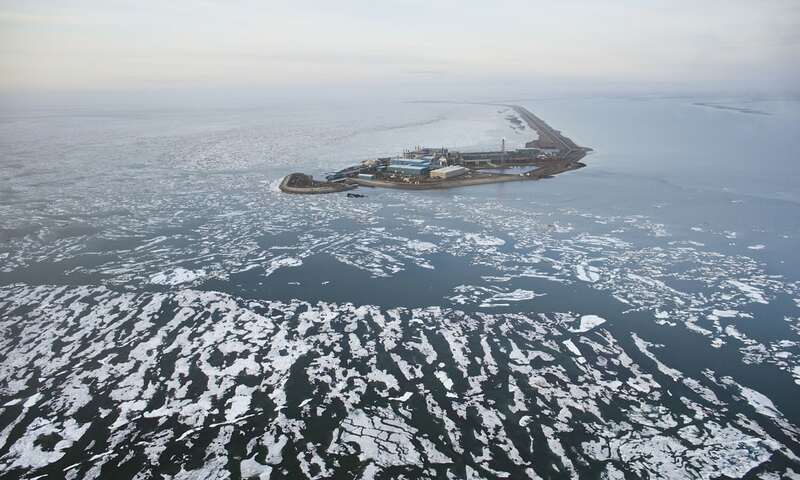 There is a statewide campaign for local governments to pass such resolutions since Trump urged federal agencies to open up federal waters to new oil and gas leasing on April 28. "I'm thrilled to be part of this community effort to protect natural resources, the water supply, and community health," said Santa Barbara City Council member Jason Dominguez, who sponsored the resolution. "At the same time, we can improve our economy, develop green markets, and bring quality jobs and living wages to the area." “Humpback whales learn songs in segments – like the verses of a human song – and can remix them, a new study involving University of Queensland research has found.” The humpback whales learn new songs through social learning, i.e. 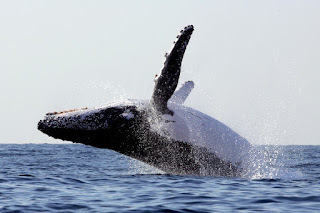 from other whales rather than through genetically from one generation to another. "All the males in a population sing the same complex song, but the pattern of song changes with time, sometimes quite rapidly, across the population," Dr. Noad said. 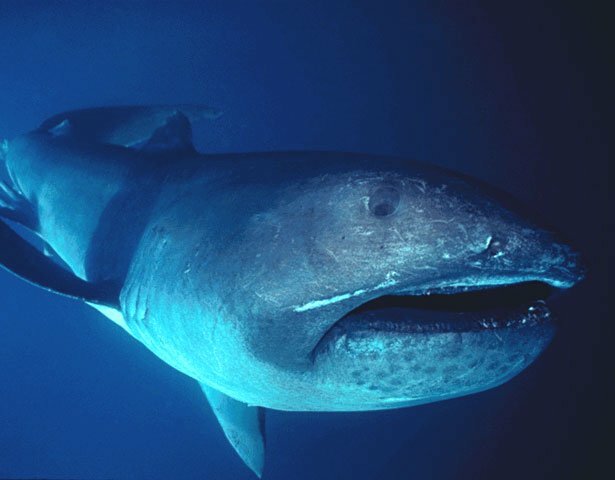 Just in time for the Discovery Channel’s Shark Week, 2 divers caught a glimpse of the elusive megamouth shark off of Komodo Island of Indonesia. Despite its size, the megamouth shark only feeds on microscopic plankton. It was first discovered in 1976 and since it has only been seen 60 times. 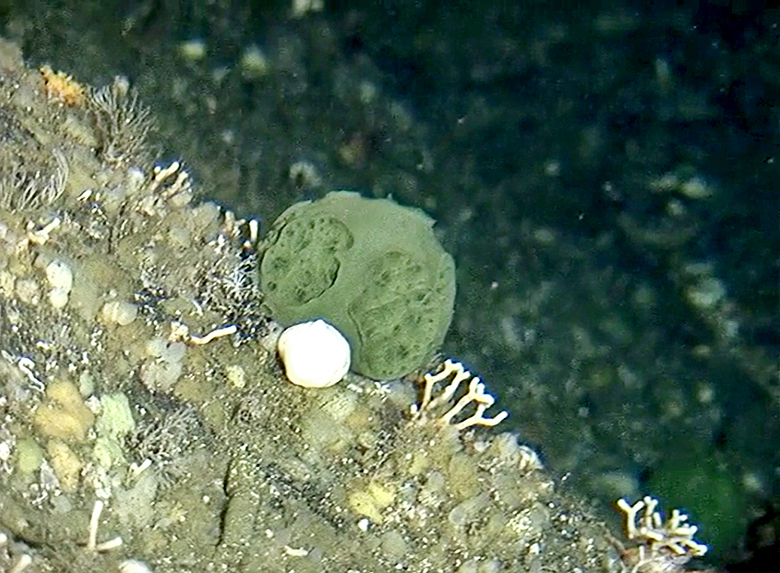 A small, deep-water Alaskan sponge “has molecules that selectively target and kill pancreatic tumor cells.” The golf ball-sized green sponge, Latrunculia austini, was discovered in 2005 by a NOAA research mission. 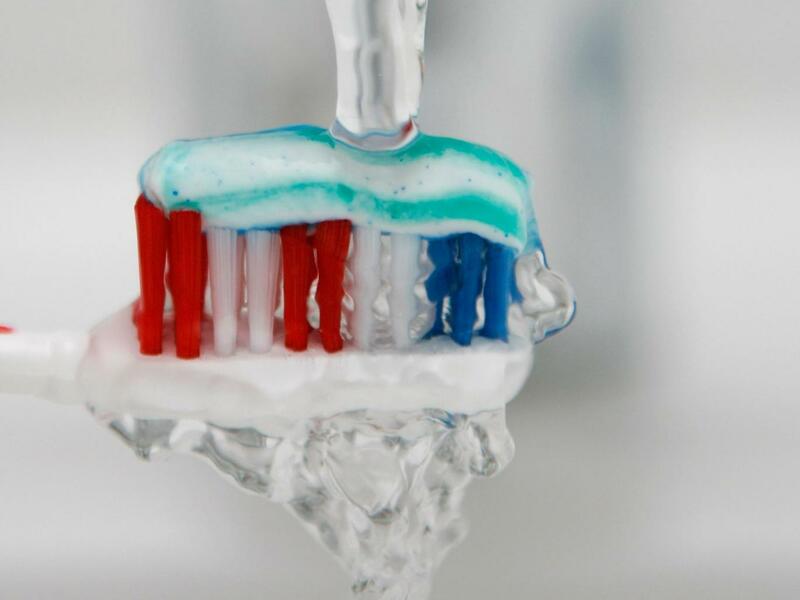 “The structures of the (sponge) molecules are not related to anything you would find on land or even in tropical shallow-water marine environments.” Research is promising, but the sponge can live as deep as 720 feet so getting them could prove problematic. 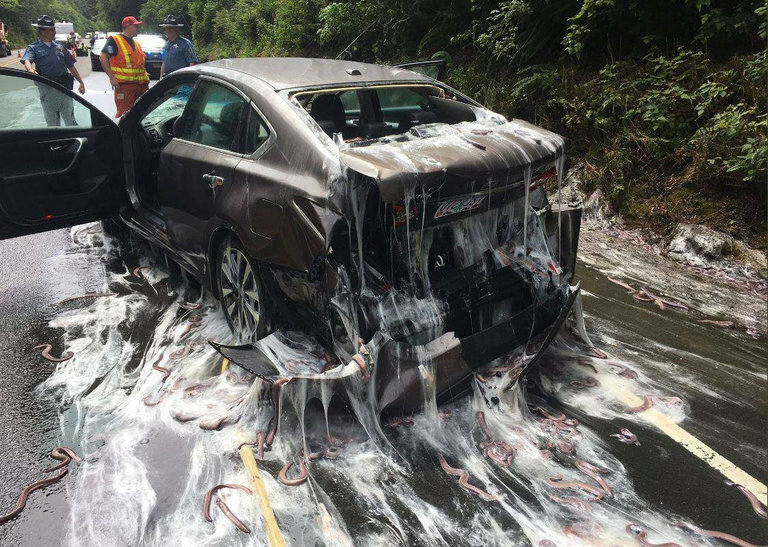 An Oregon highway was slimed when a container of hagfish was overturned from a truck. The hagfish were to be exported to South Korea, where they are a delicacy. Hagfish produce copious amounts of slime for protection, and when stressed. A single slime eel can fill a five gallon bucket with slime almost instantly! 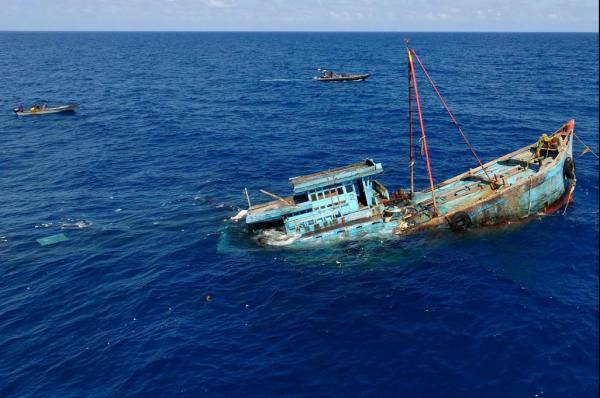 The illegal fishing industry is valued at $23 billion dollars and contributes to the collapse of fisheries worldwide. Stopping hundreds of thousands of fishing vessels seems an impossible task for enforcers. Enter researchers, who came up with algorithms to flag vessels with “fishy” behavior. This gives enforcers clues to which vessels to board at port in different countries. 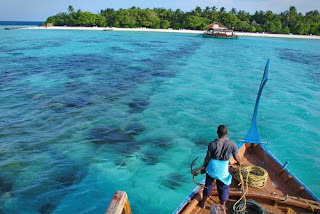 1.5 billion people around the world rely on the oceans as their primary source of protein. 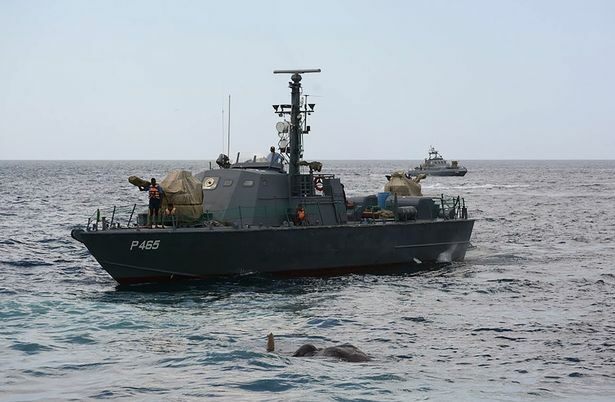 After being found swimming eight nautical miles from shore, an elephant has been rescued by the Sri Lankan Navy off their coast.. A rope was tied around the elephant, who was hauled to shore safely. Elephants can swim up to 29 miles and use their trunk to breathe while swimming. 1. Sea Save Foundation and Others at United Nations: Ocean Conference. 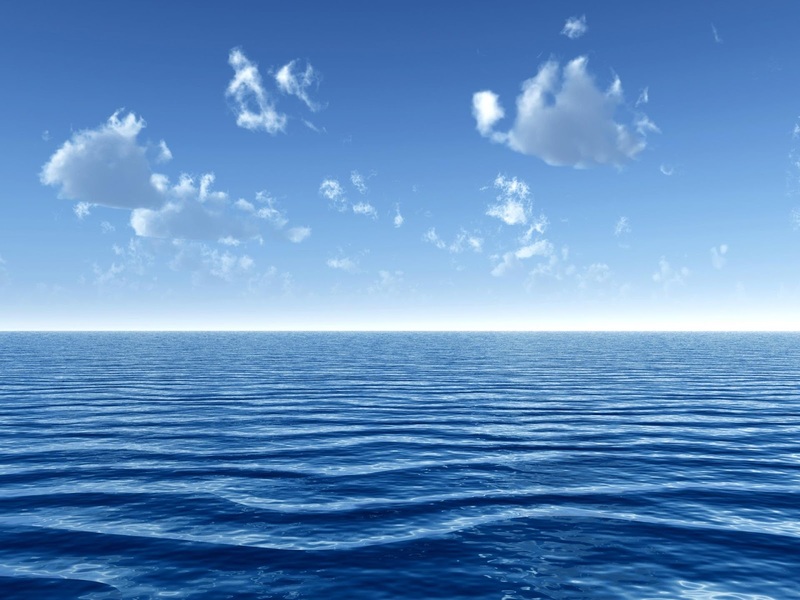 How Should We Govern the Open Ocean? The open ocean is at risk from climate change, over-fishing, deep-sea mining, farm pollution, and plastics. 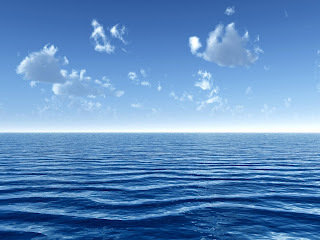 This situation is even more dire since 60% of the ocean has no conservation rule as it's outside national jurisdiction. Representatives at a UN Ocean Conference are focusing discussions towards international agreement on how to protect and manage ocean biodiversity. 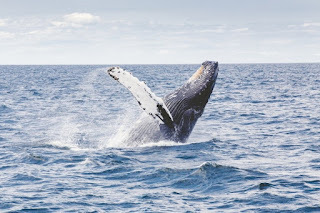 Together they hope to set up legal framework for marine conservation, look more rigorously into environmental impact before industrial activities are undertaken, and develop rules around marine resources so all nations can share the wealth of the seas. 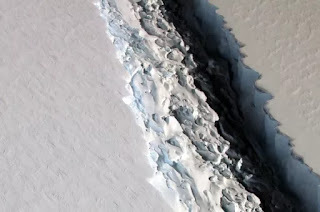 A one trillion ton iceberg, the biggest on record, has broken off of Antarctica sometime between July 10 and 12. It is the size of Delaware. The interesting thing is what happens next: Will the ice shelf weaken and collapse? 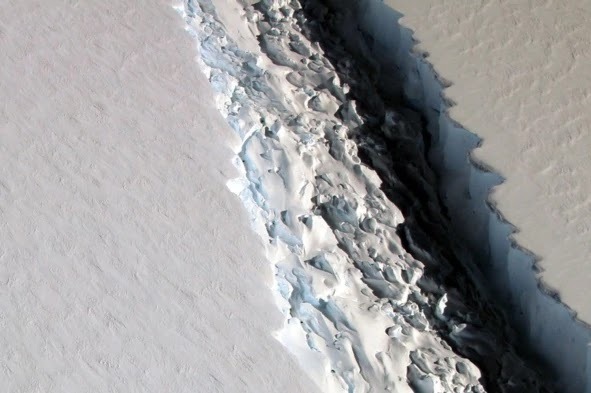 Will the glaciers behind this iceberg accelerate and have a direct contribution to sea-level rising? Or is this just a normal calving event? 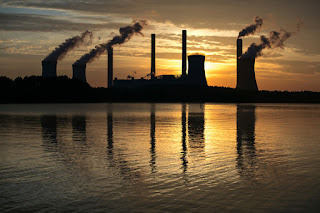 Opinions in the scientific community are divided and it is too early to blame this event on human generated climate change. Currently, it only poses an added risk to ships. The executive order to open up the Atlantic Ocean to oil drilling is being followed by The National Marine Fisheries Service permitting five companies to begin seismic airgun blasting, the controversial technique for detecting reserves of oil and gas. 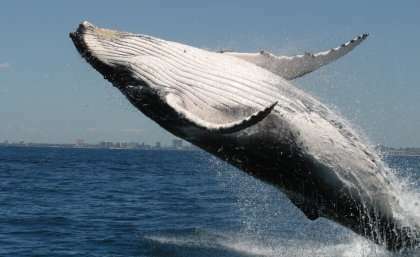 Many scientists say that it poses an unacceptable risk of serious harm to marine life from plankton all the way up to fish and whales. 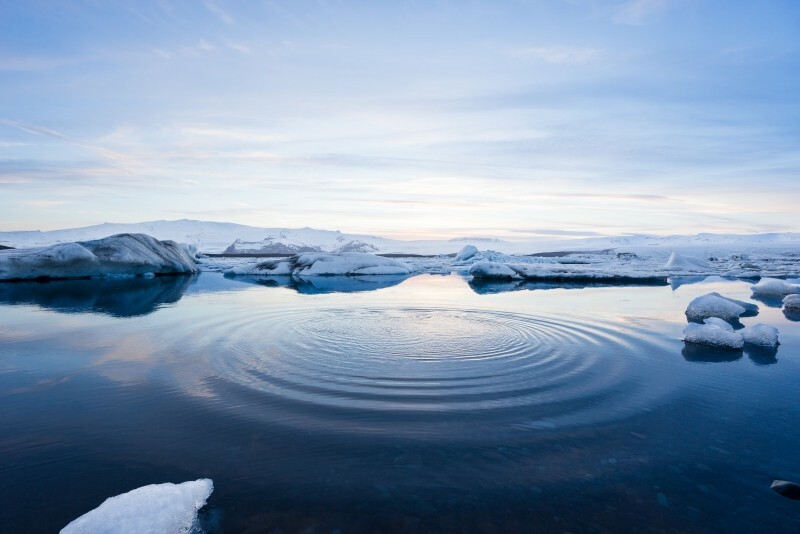 Bipartisan bills have been introduced with unpolarized support in both the House and Senate that would ban seismic testing. 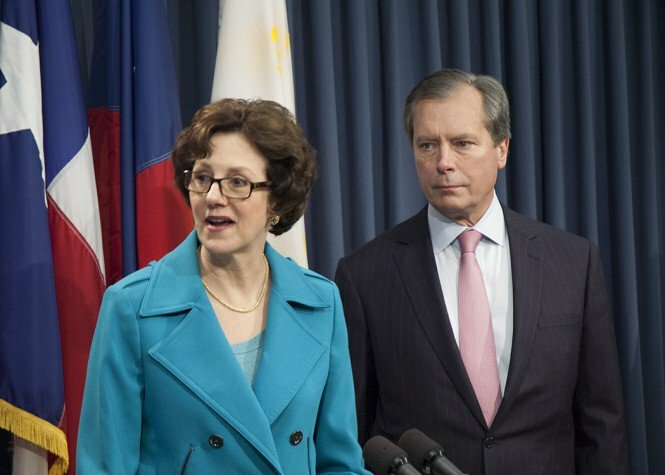 Former Texan comptroller Susan Combs was appointed by the Trump administration to be assistant secretary for policy, management and budget in the Department of the Interior. This department overlooks the U.S. 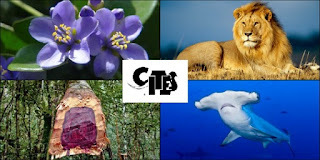 Fish and Wildlife Service and is therefore responsible for the Endangered Species Act, of which she has been a strong critic. She has publicly vowed to protect Texas business interests and has “likened the endangered species listings to ‘incoming Scud missiles' that threaten to blow up the Texas...economy’. According to a 2015 study, earth has entered a period of mass extinction unparalleled since the dinosaurs, with 2 vertebrate species going extinct every year on average. 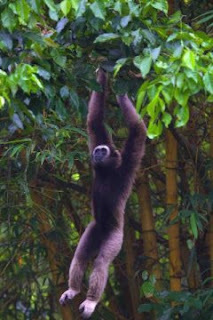 A recent study done at Stanford found that more extreme to this 'seemingly' slow rate of extinction, 30 percent of vertebrates have declining populations and ranges, which tells the more dire story of "biological annihilation occurring globally". This loss of populations and biodiversity rob us of "crucial ecosystem services such as crop pollination, pest control, and wetlands' water purification". In addition, this reduction within intricate ecological networks leads to less resilient ecosystems. The authors of this study call for immediate action to curb the basic drivers of extinction: human overpopulation and overconsumption. The U.S. Postal Service will issue 'Sharks Forever' stamps on July 26, 2017. Five species (mako, thresher, great white, hammerhead and whale shark) will be featured. 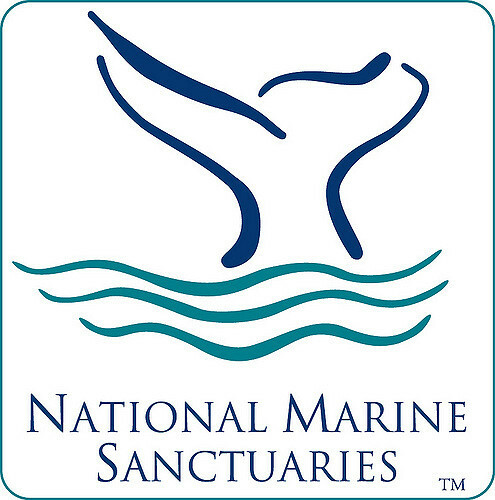 A first day of issue ceremony will take place at Newport Aquarium in Newport, Kentucky. Use #SharksStamps on social media. 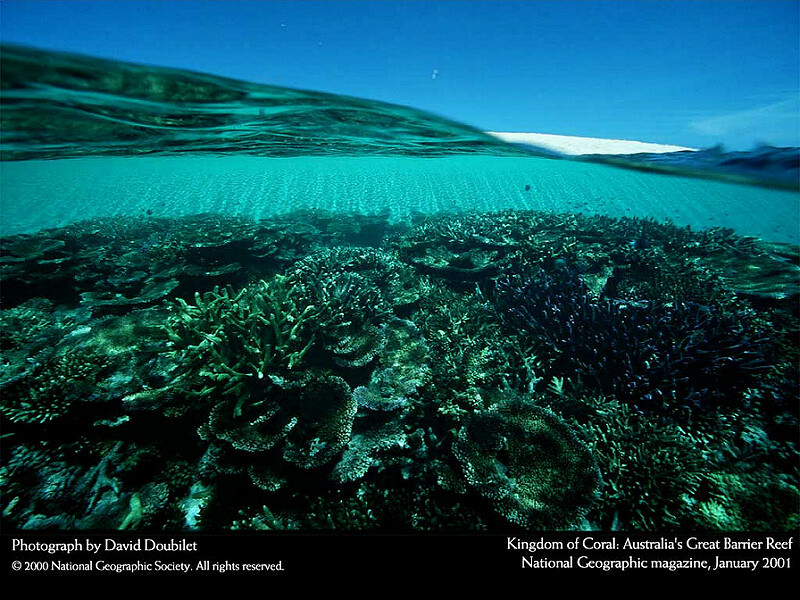 Corals living near the sunlit surface need protection from the UV light. UV light damages their surface algae thereby interfering with the symbiotic relationship that must be maintained for their sustenance. 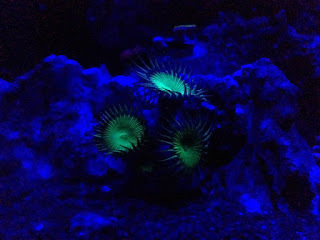 These shallow water corals fluoresce to protect their little algae buddies from the damaging UV rays. Scientists always wondered why deep sea corals, hidden from sunlight, also fluoresce. A recent study showed that these deep sea corals have taken this trick of fluorescing and turned it to their advantage of producing their own sunlight in the deep sea darkness. 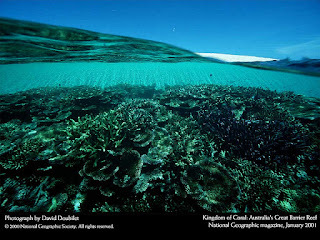 This sunlight production aids their surface algae in the photosynthetic process thereby continuing to foster the symbiotic relationship between coral and algae that is observed in shallow waters. In contrast to their small carbon footprint, small island developing states and the world's least developed countries are facing the largest consequence of climate change's impacts on marine life. This disparity confirms the importance of the UN's Sustainable Development Goal #14 which includes a "target of increasing the economic benefits to least-developed countries from the sustainable use of marine resources". The outcome of the UN Oceans Conference similarly emphasized the importance of supporting these vulnerable places. At the G20 summit, participants agreed that the Paris climate accord was irreversible and they remained committed to it. Even Mr. Putin called climate change a "major issue" and commended Germany's Angela Merkel on having reached a "good compromise". 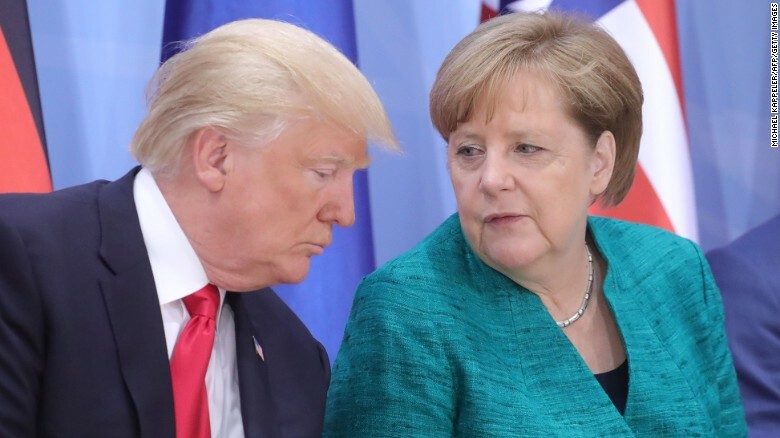 The G20 summit, hosted in Germany, which was expected to focus on many global issues, conclued with Merkel announcing her sadness of the US's intention of leaving the climate agreement. 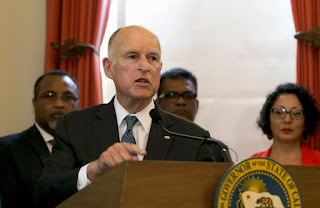 California Governor Jerry Brown has one-upped Trump by announcing that he will host a Climate Action Summit in San Francisco in September of 2018. He says Trump "doesn't speak for the rest of America," when it comes to climate change. 2. Pruitt Systematically Dismantles EPA. Onerous. "In the four months since he took office as the Environmental Protection Agency’s administrator, Scott Pruitt has moved to undo, delay or otherwise block more than 30 environmental rules, a regulatory rollback larger in scope than any other over so short a time in the agency’s 47-year history, according to experts in environmental law. 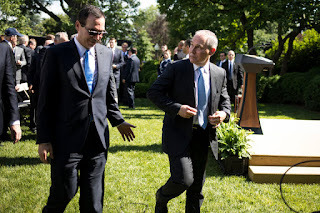 Mr. Pruitt’s supporters, including President Trump, have hailed his moves as an uprooting of the administrative state and a clearing of onerous regulations that have stymied American business." The US Navy will deploy its trained dolphins to search for the last of the endangered vaquita porpoise. 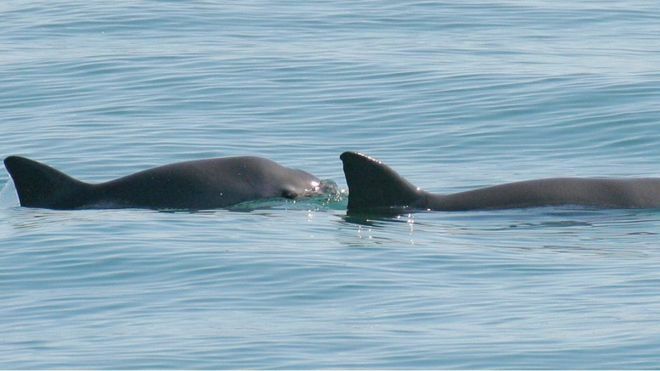 Once found, the dolphins will herd the vaquita into a marine refuge. Less than 30 vaquita are estimated to be left in the wild. The project will begin in September. The Mexican government is looking into a permanent ban on the gillnets that accidentally catch the vaquita. This is your chance to weigh in. National Marine Sanctuaries and Marine National Monuments are soliciting public input regarding the future of our National Marine Sanctuaries and Marine National Monuments and make comments of your own. 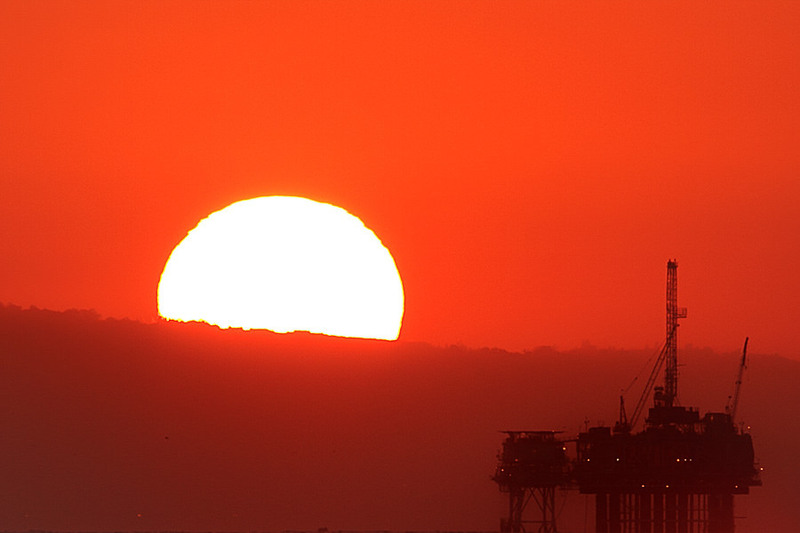 The EPA plans to create a “red team - blue team” model to debate climate change. The red team will consist of climate change deniers, and the blue team of those who believe in climate change. 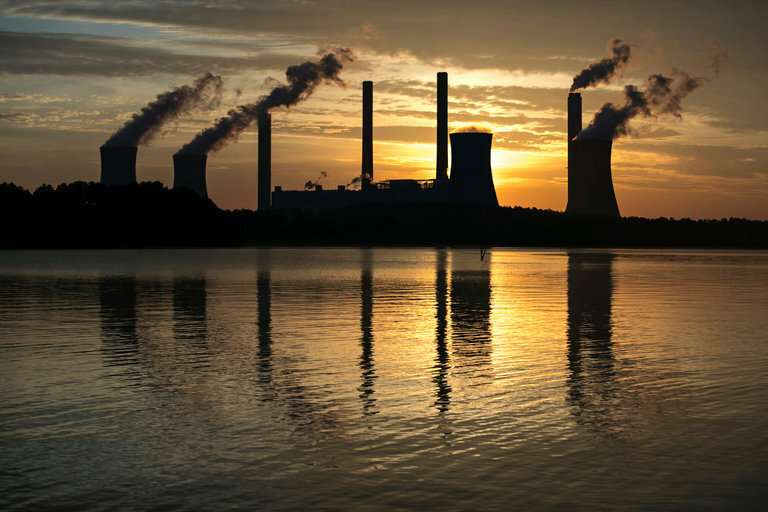 Many climate change advocates are saying that this is a waste of time, while others welcome the chance to debate climate change in the public eye. Endangered killer whales in Puget Sound, Washington state, are not finding enough food to eat and this is affecting their pregnancies. The females are stressed over not finding enough salmon to eat and having pregnancy problems as a result. Scientists found that two-thirds of the pregnancies failed from their study of 6 years.